While we might think that Influencer Marketing began in the last decade with the Kardashians, in fact, it dates back much earlier than that. Product endorsements have been around since at least 1890 when Nancy Green was hired to be “Aunt Jemima” for the famous Quaker Oats brand. Michael Jackson, Tina Turner, Elizabeth Taylor, and even David Bowie represented various brands during the last century, long before the word “influencer” gathered traction. An influencer, is someone who has the power to influence the perception of others or gets them to do something different. When applying this definition to marketers, an influencer is someone who helps other people buy from you. Influencer Marketing organically connects you and your business to your target audience through “mutual connections” (influencers) that your audience trusts, respects and listens to. “Digital” Influencer Marketing is word-of-mouth native advertising that leverages social media personalities and channels. So why consider influencer marketing? Brands have long understood that if they are launching a new product or trying to shift brand perception, the innovators and early adopters must first be convinced in order for the message to spread to their target audience. In today’s digital marketing landscape, influencers are essentially innovators and early adopters that have attracted an audience through their expertise and authentic, relatable voice. When they make recommendations to their audience they are regarded in the same light as expert friends giving opinions on the latest products on the market. New York based Influencer Marketing company Activate, illustrates this nicely in the chart below. When you consider this in the context of an Influencer’s large social media following it offers significant scale for brands who want to amplify their message. However, although most marketers tend to regard Influencer Marketing as a brand awareness tactic, it is interesting to note in a recent study by Activate that 45% of marketers quoted “impact on sales” as the reason they work on influencer partnerships. Based on these findings, it is not surprising that a recent survey from research company eMarketer (Dec 2017) found that 70% of Marketing professionals expected their Influencer Marketing budgets to increase in 2018. Before deciding to invest in Influencer Marketing you should understand some of the common pitfalls to ensure that you get a better return on your spend. One of the most common mistakes that companies make in the selection process is avoiding influencers that they feel do not reflect their target market. It is important to remember that it’s not the influencer we are trying to market to, but their audience. Lux soap didn’t choose Victoria Principal for their advertising campaign in the 1980s because they wanted to target actresses. They chose her because she was starring in the biggest TV soap of the time, Dallas, and they wanted her audience to buy their product. Victoria Principal appeared in the ads as herself, with a montage of her Hollywood lifestyle and extolling the virtues of Lux. For her fans, buying the same brand of soap made them feel that they shared at least some of her glamourous lifestyle. The second pitfall is focussing exclusively on macro-influencers. A macro-influencer – and Victoria Principal and Jane Fonda are good examples of this – is a more traditional form of influencer. Somebody with an enormous audience, and a global reach. These influencers are typically household names or social media celebrities. Although macro-influencers tend to have a huge reach they typically have a lower engagement rate, have a high percentage of fake or inactive followers and cost a lot more! On the other hand, a micro-influencer is someone who has not reached celebrity level. They have smaller audiences, and are often involved in more niche industries. The use of this type of influencer is increasing and, although they have lower reach, they often have a niche with hyper-targeted demographics, their content receives very high engagement and generally they cost a lot less. In our experience brands can often achieve better results (for a lot less) by engaging multiple micro-influencers rather than one big fish! This definitely holds true when your campaign objective is more sales oriented and less about brand awareness. When working with micro-influencers you will often find that they work collaboratively on your campaign by sharing content from the other influencers, which further amplifies your message. A third pitfall that brands often fall foul of is trying to “over control” the output from the influencer. While it is essential to provide the influencer with a clear, well thought out campaign brief, it is important not to micro-manage their content. We all need to remind ourselves that influencers are humans, not ads, and you want them to express themselves using a style that is familiar and natural to their audience – after all that’s why you engage with them in the first place. When brands micro-manage the content, the result is a campaign that seems forced and screams #Sponsored. They know their audience really well, and not allowing them to bring that knowledge into a marketing partnership is a mistake. A fourth pitfall is not to get hung up on the social media channel that the influencer plans to use for their deliverables. Although it can be beneficial if your brand has a strong presence on the same social media channel that the influencer uses (e.g. Facebook or Instagram), this is not essential for a successful campaign. Again it’s good to remind ourselves that we are using the influencer to communicate our message to their audience and if they do that more effectively on a social media channel that you are not strong on – that’s okay. This also applies to the type of content that the influencer produces. Some influencers are all over video and they can produce great looking videos that wont break the bank. Other influencers are not comfortable with that medium and prefer writing blog content and social posts. In our experience you will get the best bang for your buck if you agree content deliverables that suit the influencer. Finally, the fifth pitfall is around the return on investment (ROI). In a survey by influencer marketing hub, in 2018, more than three-quarters of marketers say that their biggest influencer-related marketing challenge is determining their campaign ROI. When defining goals and objectives for a campaign like this it is key to use very clear KPI metrics to measure results. In the past, Influencer Marketing was more of an art than a science. Setting up a campaign involved a lot of back and forth with phone calls, emails and sample packs. There was little knowledge of the return on investment. The true value of the media collateral couldn’t be determined. However, advanced analytic tools are bringing a much-needed way to measure the performance of this not-so-new type of marketing. There is a better way to approach these types of campaigns now – You just need the right methodology to get started. We have created a 5-step method for carrying out a successful Influencer Marketing campaign. When helping our clients execute their Digital Marketing Strategy, we simply position Influencer Marketing as another marketing channel, and from a campaign performance perspective it needs to measure up to strict KPIs just like a search marketing campaign or any other form of digital advertising. Although this is very much a “human” project, the availability of link tracking software and content engagement metrics from the main social media platforms enable us to measure these campaign outcomes. The best influencer campaigns start with a comprehensive strategy that defines your goals, objectives and tactics. The strategy will guide the execution of the campaign and fit in with your overall marketing plan. We help you determine all the elements of the campaign and the exact deliverables that will be required from your influencers. 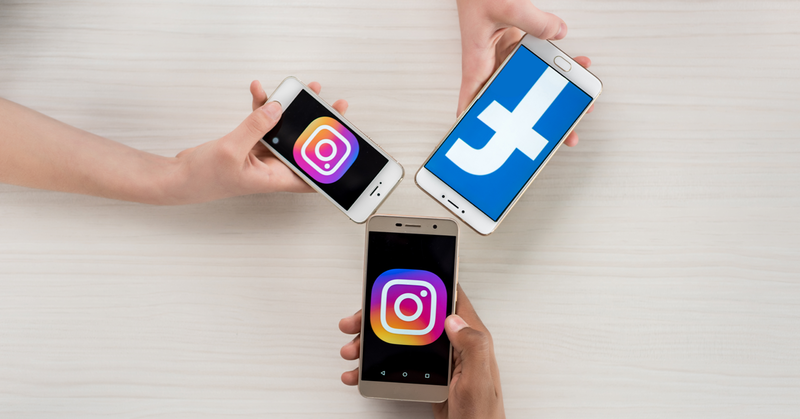 We work with you to determine which social platforms will work best for your campaign, the types of influencers we should be seeking out, and determining KPIs. Identifying and engaging influencers might seem like an easy task, but finding the right influencers can be like trying to find a needle in a haystack. How do you really know who is the best influencer for your brand? Our roster development step is all about helping you get to know your prospective influencers so you can make an informed decision on who will be representing your brand and helping to execute the campaign. The campaign strategy from Step 1 will provide insight in determining the type of prospective influencer that would be the best fit to reach your target audience and represent your brand. When we are looking at an influencer, we are analyzing their online credibility to ensure they are influential, knowledgeable, and experienced in the topic of the campaign. We analyze all their social profiles to ensure their followers are real people that fit your target demographic as opposed to fake accounts, or followers that they bought. Once we have identified a roster of influencers that have passed the credibility test, we then package the list up for you in a visual way that will allow you to get to know these influencers and help make an informed decision of who to select as your final list of influencers to represent your brand. The roster is presented as a slide deck with a single page devoted to each influencer. Once the roster of prospective influencers has been agreed upon, we will then begin to reach out to these influencers and engage with them in discussions regarding the details of the campaign. To do this effectively we need a clear and compelling campaign brief. At this stage of the process it is important to remember that we are still romancing the influencers and are persuading them on the value of working with your brand. Contrary to popular belief, most influencers do not decide to work with a brand just for the compensation. The #1 reason that influencers will engage on an Influencer Marketing partnership is because they love your brand and often organically post about it. We are often asked what the response rate is like when contracting with influencers. Every campaign is different, but a general guide is 25%. So if you are looking to engage 10 influencers, your roster would need to start with a list of 40. From here we begin the negotiation process and working with the interested influencers to create contractually binding agreements in order to be part of the campaign. Like other forms of advertising, there are regulations around Influencer Marketing. Regulatory bodies operate around the globe to ensure fairness in advertising standards for Influencer Marketing. For example, in Ireland, under regulations from the advertising standards of Ireland (ASAI), an influencer must cite when they are getting paid for a story, even if the payment is just in the form of a product or service. The final contract clearly outlines the brand guidelines, the activities we expect the influencer to engage with us on and the list of deliverables that have been agreed. Once we have signed agreements, we begin to execute the various aspects of the campaign with the influencers. We work through content timelines, and determining the posting instructions and process for the influencers so everyone is aware of the workflow for your campaign. The influencer gets added to Teamwork (our project management system) to manage all the communications. Throughout the process we nurture the relationship with the influencers in an effort to turn these influencers into brand advocates even after the campaign is over. Influencer Marketing is becoming a critical component of a brand ’s marketing mix. But, until now, it’s been difficult to measure the success of Influencer Marketing and evaluate the efforts of influencers in your overall marketing budget and expected ROI. With our onsite and offsite tracking, you will be able to gain insights into how all content is performing and the impact each channel an influencer is truly having on the campaign. We can even go so far as to tell you the effectiveness of each influencer so you can make better use of your budget on the next campaign. You will be able to tell which influencers are getting you results and which ones are not so effective in achieving your goals. At the end of the campaign, we will present a report providing you with the measurable success of the campaign. We can determine who the strongest influencers were, and who provided the best ROI. This will include feedback on the performance of the landing page we are sending people to, reporting on tracking links for each influencer so we can measure their effectiveness, tell you how much engagement the campaign received and can even tell you how many people took action on your website thanks to the campaign. There is no end in sight for the growth of Influencer Marketing. The Influencer Marketing industry is expected to be worth US$10 billion by 2020, according to Mediakix. Social media platforms will continue to adapt to the growing trends in Influencer Marketing. Facebook recently launched tools for influencers to identify and measure their sponsored posts. And where Facebook go, the rest will usually follow. Brands and influencers are increasingly more interested in ongoing partnerships as this benefits both parties in unique ways. Influencers have the security of longer-term projects and protect their audiences from the clutter of too many sponsored collaborations with many different brands. From a brand’s perspective, they get to engage with an individual with whom they can build a long-term narrative and leverage as a true brand ambassador. This is very much in line with what we are hearing from our community and a trend that we only expect to grow. Contact a WSI consultant Today.